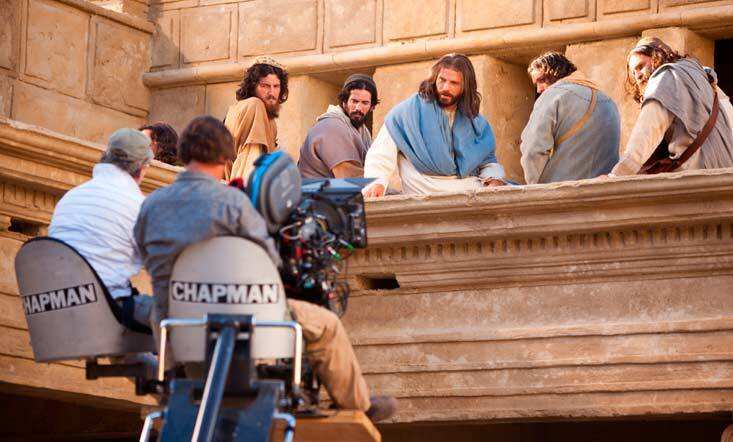 From early August until the end of September, I worked on a New Testament film for the LDS Church. If you've ever worked on a film, you know there's lots of downtime between shots. To make use of this time, I sketched the people and set pieces around me. 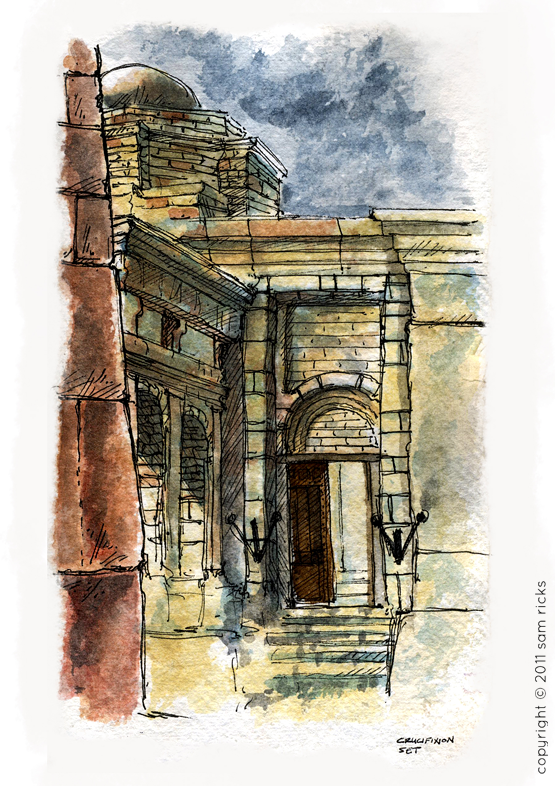 For the next few days, I'll be posting my drawings from the set, perhaps with a little descriptive text. The sketch below is where we shot The Pool of Bethesda sequence. The area also doubled for several other locations. In mid-September, the clouds often looked like they were going to pound us with rain, but that rarely happened. It always seemed to rain during lunch breaks or at night, so our shooting went on uninterrupted! And here's a pic from the set. Can you tell which bearded guy is me? If you want to see the gallery of official photographs from the set (what's been released so far), take a look at this link. Those are great stills! Must've been neat to see all that. Thanks for sharing, Sam. Sam, what a great opportunity. I didn't know you could act.